Only 35% of longevity is determined by our genes. The remaining 65% is determined by epigenetic factors. 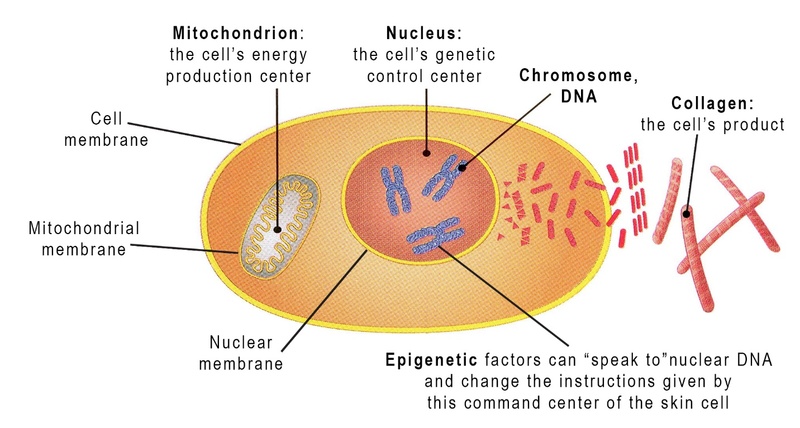 Epigenetics literally translates as “above the gene” or “over the gene,” indicating that epigenetic modalities can change the degree to which genes are expressed and if they are even expressed at all. This is the concept of “turning off” or “turning on” genes. Epigenetics is sometimes termed proteomics, referring to the fact that protein products ultimately produced from DNA instructions are the final actors in the instructions given to cells. Epigenetics explains why a butterfly looks different from a caterpillar even though they both have the exact same genes. These genes, although identical, are switched on and off in different patterns in the butterfly compared to the caterpillar. Another example is in honey bees, a species in which the queen bee and the worker bees are genetically identical but look and act differently from each other. Below is a picture of a skin cell. Prior to epigenetic discoveries, it was thought that instructions only proceeded from the inside of the nucleus to the outside of the cell. It is now known that epigenetic determinants modify, silence, or encourage DNA expression and in turn affect the instructions given by genes in terms of final protein products. If this is a fibroblast with the job of producing collagen, as shown below, then epigenetic instructions can “tell” the DNA to be silent and stop producing collagen or to be encouraged to make more collagen. There are detailed molecular reactions via which epigenetic factors modify the commands given by DNA. Descriptions of these processes are beyond the scope of this article, but they include DNA methylation, histone modification, histone variants, chromatin remodeling nanomachines, and regulatory activity of microRNAs.3 These tools of epigenetics are also important in aging processes.4 They explain why the skin of two persons of the same age may visually appear to be of widely different ages and health (see Potential Epigenetic Modifiers). Strong medical evidence from the Albert Einstein College of Medicine on other mammals5 implies that these epigenetic factors can also be used by esthetic professionals to assist their clients in having healthier skin and skin that functions at a younger age than the individual’s actual age. The decision to use (or not to use) sunscreen is an epigenetic factor under individual control that has wide implications for skin health, photoaging and skin cancer risk. This decision governs the amount of DNA damage occurring from photo-exposure and has wide-ranging implications for DNA structure and function. 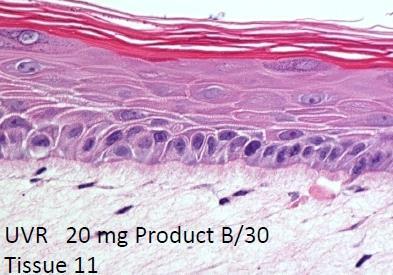 The second biopsy slide shows skin exposed to sun but with sunscreen applied 20 minutes before sun exposure. 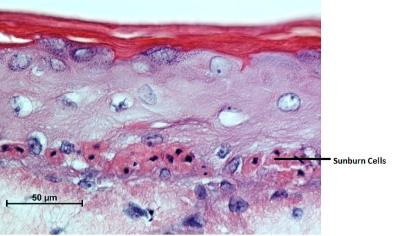 No sunburn cells are seen in the second biopsy slide where skin was protected with sunscreen before UV photo- exposure and was equivalent to skin in the dark.8 The epigenetic factor, sunscreen use, affects genes governing skin cancer development, photoaging, and other factors of skin health. The information above is an example of preventing genetic damage and preserving healthy DNA epigenetically by using sunscreen. It is also possible to turn on genes epigenetically, a process referred to as “upregulation.” With aging, all cellular functions decline including efficiency of genetic processes. Choosing beneficial cosmeceuticals may “wake up” aging genes and improve the messages they deliver to cells. Not only do our genes affect our skin but products applied to our skin and the messages resulting from that application also affect our genes. This conversation occurs both ways. 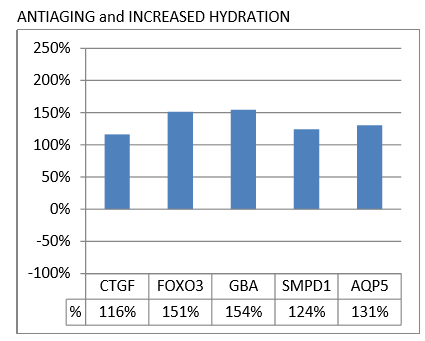 In the study described here, a cosmeceutical serum was applied to skin.9 A control measurement was also done in which no cosmeceutical product was applied and the same measurements were performed. Using the technique of quantitative Polymerase Chain Reaction, gene amplification (turning on/off genes) was measured for 112 genes in the epidermis of skin. Genes were then grouped by family indicating their function or job within the skin. Statistical analysis of results was performed to verify that the results were mathematically valid. Multiple families of genes were beneficially affected by product application, as listed below. Multiple genes were affected positively within each gene family above. As an example, the results for the individual genes within one of these gene families is shown below. It is unusual for a cosmeceutical product to affect this many genes in skin. The cosmeceutical serum described caused no changes within the primary genetic material of the skin cells. Benefits were conveyed through the product’s ability to “speak to” these genes in helpful ways but not alter DNA structure. The results of the above study indicates that abilities of skin renewal and regeneration may be improved with cosmeceuticals through the principles of epigenetics. These effects may prove very helpful to damaged skin of all types including over-processed skin and severely photoaged skin. 9. Data courtesy of Innovative SKin Care, Burbank CA, Gene measurements and statistical analysis by Genemarkers, LLC. 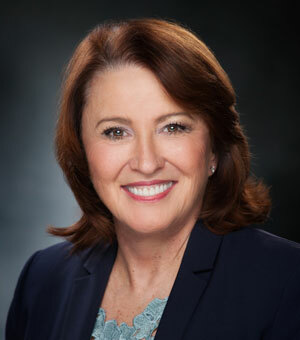 lectures internationally on wellness and skin health and serves on the clinical lecture faculty of the School of Medicine, University of Washington.